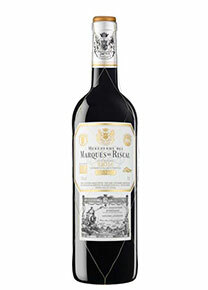 30.00€ Bottle 75 cl Tax incl. Varieties 100% Tinta de Toro. Vineyards Selection of hundred-year-old vineyards with very low production, cultivated using biodynamic techniques. Harvest Manual harvest during the first fortnight of October. Fermentation and maceration for 3 weeks in concrete tanks of 10,000 kg. The malolactic fermentation is carried out in new French oak barrels, as is the 16-month ageing process. This wine has not been filtered and has been clarified without using aggressive procedures. Tasting notes Deep cherry red colour, high layer, with violet notes on the rim. Great aromatic intensity, with aromas of ripe black fruit, well integrated with the toasted, spicy and smoky notes of the barrel. In the mouth it is corpulent and fleshy with very ripe and round tannins that make it sweet-toothed. The aftertaste is long and persistent, the notes of ripe fruit appear again and very well assembled with the roasted wood.